Originally founded in the summer of 2008 by Skateworld. As of November 1, 2013 SDRD is women only. SDRD consists of three home teams: the Rollin' Ninjas, the Coastbusters, and the Roller Rebel Alliance who duke it out for the first half of the year, as well as the Bandettes and Starlettes, our two travel teams. SDRD's sibling leagues are the Aftershocks (men) and the Cadettes (juniors). We practice and play at Skateworld, 6907 Linda Vista Rd, San Diego, California 92111. With the first season of home team play just around the corner for SDRD, let’s take a look into what is on the mind of the coaches, how they view their skaters and what they plan on bringing to the track this 2014 season. I see my team as a well-rounded threat. We have a solid team of vets along with a strong crop of up and comers that I handpicked because of their work ethic and coach ability. Most of our players are a double threat and can block/jam so don't expect us to get tired on ya. My newbies have shown aggressiveness in the back so don't think they are just gonna let jammers by without a fight. Ninjas skate and destroy! What do I bring to the table as a coach? Pssshh, the question is what don't I bring to the table as a coach? Been skatin since I was knee high to a low block. So as a coach not only can I tell you what I want you to do but I can show you and more than likely show you how to do it properly. 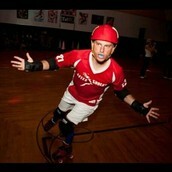 I have also been not only playing roller derby for 3 seasons but refing it too. So I believe I have a pretty good knowledge of the rules and strategies of the game. Predictions for the season? Plain and simple. Ninjas win the inaugural home team trophy. Not saying it's gonna be easy....but...it's gonna be easy. Roller Rebel alliance? Psshh, more like nerds on wheels. Coastbusters? I don't even know what that means? What? You hate the beach? Way to go...lets hate the beach...real fan favorite. Ninjas Skate and Destroy! And words to the competitors? Read question #3. Ninjas Skate and Destroy! I'm very happy with my team, they have a great attitude collectively, and I'm looking forward to a season of growth for everybody. We're hoping to build a strong team through conditioning and team bonding. I'm confident our hard work will pay off with wins, if we keep at it throughout the season. As a coach, I bring a hefty knowledge from an admirable history of coaches, mentors, and fellow skaters. I've played with several leagues and I've skated with and under some of the best. I've compiled what I've learned and applied my own creative spirit to create unique drills and lesson plans that suit my specific team's individual needs and goals. My predictions for the season? I think I'd be a bad coach if I didn't completely believe in the team I've chosen. However, the competition IS steep, so I'm very interested to see how the season goes. Second and third is still up in the air, after all. When it comes down to it, Who are they gonna call? Coastbusters. Well obviously our top secret plans are going to stay that way (top secret!) but I can say I am incredibly excited about our team. Our lineup is packed with veteran utility players who can jam as well as block. Further, they are all amazing teachers which is going to be a HUGE advantage as we work to bring up the skill level and game knowledge of our newer skaters. We're going to be an incredibly dynamic duo. 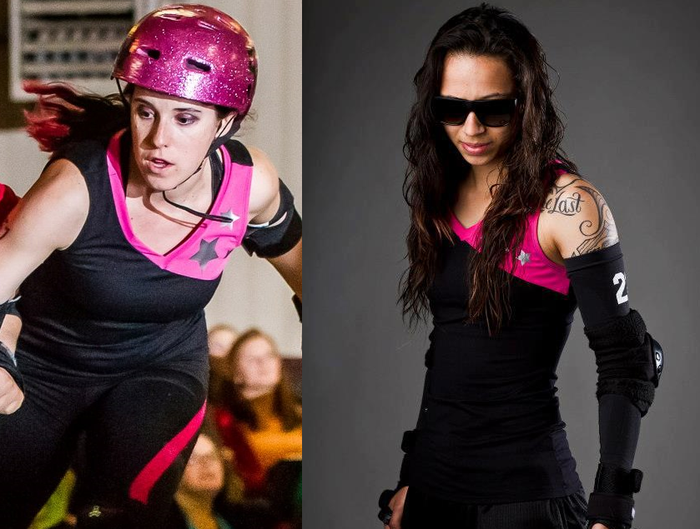 Amy will be bringing a lifetime of skating experience, strong derby background, and awesome teaching skills to the coaching staff and Madilyne will be bringing a slightly shorter skating history, derby background, and her best cheerleading voice (you got it! you got it! GO, GO, GO!). We may also be bringing costumes. I think we're going to see some incredible performances from our newer skaters and maybe even a few surprise jammer superstars! Words to the competitors?? Our team can beat your team and I bet our fans can beat up your fans too! If you haven’t heard about the new workout class that Samwise Banshee (a.k.a. Atlanta, a.k.a. 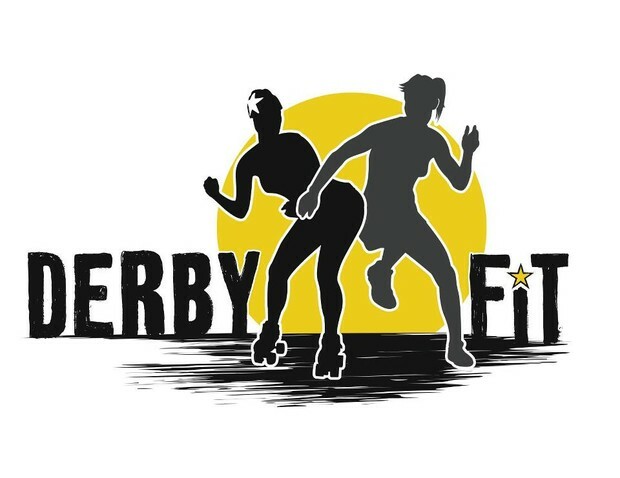 Kathy McCarty Baker) has started called DerbyFIT San Diego, you need to take a closer look. This class, Saturday mornings at 10 a.m. in Old Trolley Barn Park, is great even if you’ve never put on skates before. Classes start again on Saturday, January 4, 2014. I sat down with Kathy to talk about what this class can offer skaters and non-skaters alike. For more information, email her at derbyfitsd@gmail.com. The complete class schedule is also available Facebook or her website, www.derbyfitsd.com. Anne Canter: Where did your idea for DerbyFIT come from? Kathy McCarty Baker: That’s a good question. On the Starlettes we started doing off-skates workouts, and I teach workout classes and I really enjoy that. I started thinking, “What if you could make a class like this that would bring derby into the workout world?” Because there are always the people who say, “Oh you do derby? That’s so awesome. I would love to do derby,” and you say, “Well why don’t you do it?” And they go, “No…” For whatever reason, they just don’t want to. I thought it would be cool to bring those people that are interested in derby, and give them a taste of it. A: What do you get in each class? K: Every class I try to make sure there’s a good cardio aspect, a really good leg strengthening aspect, a core aspect, and some kind of arms. I’m a big fan of working out the whole. You can’t be successful if you have really strong legs, but you don’t have strong arms and I think that’s a huge area that people neglect, especially derby players. It’s all connected, it all should be even. I try to make my workouts a little different so you’re not doing the same thing every time. 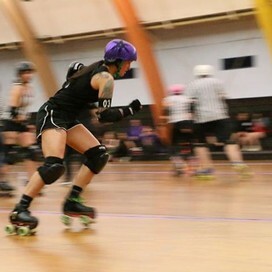 Even the format itself is different, but I always try to do a lot of cardio, abs, legs, arms, and always some kind of drill that is reminiscent of derby. Something that makes you feel like if we were on skates, we’d be doing this drill or for people that don’t do derby something helps bring them into that world. A: Who is your target audience with DerbyFIT? K: It is kind of changing a little bit. Initially and what I’m still going for, is the person that would love to do derby but for some reason won’t, someone who maybe has a difficult time working out because they have a difficult time sticking with it. I want to give people a good workout that they enjoy coming to and something that has some flavor. I hate just going to the gym. I think that’s terribly boring and I never stick with it. So I think of somebody like me who needs something to keep coming back for. But then a lot of derby players, especially newer players, are using it as a way to get in shape so that the exercise aspect of derby isn’t a hurdle, only learning the game and being comfortable on their skates are their biggest hurdles. A: What’s your next step with DerbyFIT? K: If I can get more people to come more often, I’d like to have an event every month in the spirit of a bout. We won’t do a sock scrimmage or anything like that, but we’ll do a lot of derby drills, we’ll do a lot of relay stuff, a lot of teamwork, team building, things like that to make it exciting and fun and again, that aspect of it that keeps making people want to come back. That’s probably the biggest thing that hopefully in the future I can start rolling out. A: Is this something that someone could do at any level? K: Oh yeah! Actually, one girl brought her mom. Her mom does not do roller derby, and is never going to do it, but I think she really enjoyed working out and also seeing the kind of world her daughter is involved in. Anybody is welcome to do it. We’ve had guys before. Somebody’s husband came. A: Is DerbyFIT donation based? K: Yes, right now I am just donation based. I’m out there because I really like doing it, and derby is my favorite thing in the entire universe, and I want everyone else to be just as happy with it as I am. So I’m basically just trying to bring it to people who may not have thought to have it in their life. I mean, it’d be really nice to make money eventually, but I like where it’s at right now. A: What do you think is the main obstacle for those people who hear about derby and think “oh that’s so cool, I’d love to do that,” but then don’t? K: There are a lot of different things. Time is a huge thing. Obviously not everybody can commit three nights a week to practice. Another huge hurdle for a lot of people is that derby seems to attract those who have never played a team sport, or who are new to exercising in general. They may not be unfit, but they are new to the idea of exercising, so I think it’s intimidating. I think most women want to have that kind of empowering activity, but it’s also intimidating if you’re not already on that level of feeling empowered. I’m trying to help this be a stepping stone. Even if somebody does DerbyFIT and even if they never do derby, but maybe they do it for awhile, and they realize that they are empowered and they are stronger than they think. I feel like my job is done. That’s a huge end goal for me. That’s a huge part of what I get out of derby personally is that empowerment, and that’s the biggest thing I want to share. When I first started derby, I was obsessed. I searched the web for hours finding everything I could on this crazy new sport I had found. I was intrigued, intimidated, excited, nervous, and overwhelmed. There seemed to be so much information on it. Not just about the sport itself, but on this phenomenon known as Derby Culture. People all over the web talked about this culture and its strong pull, the relationships, the acceptance, the camaraderie. Would I find this? Be sucked in to the exclusion of all my friends and even maybe my family. Form an entirely new life based on what I was convinced might become an obsession. Why would I even risk it? That question was easy enough. I am a mom, wife, teacher, friend, babysitter, listener, and many other things. Everyone of those descriptions fits me to perfection. But who was I? What did I have that made me unique from all of the other people that fit that description? I was looking for a piece of me to take back. To not have to share with anyone because it was mine and devoted solely to me. So I went to my first practice, and I loved it! I could see the potential to find something that was only mine. Forge new and unique relationships that I could say was based on me alone and not on my role in life. So I went to practice excited with the prospect of finding this culture. I went and went, and practiced, and made friends, and practiced some more. Strangely enough, I still didn't feel this “connection” that I was looking for. I loved playing derby and learning new things, but where was this acceptance, this obsession, this new culture that I had read so much about? I could see it happening around me, but I didn't feel like I was quite there. Was it because I wasn't able to participate in these weekend outings, hang outs, extra curricular that I would hear about after the weekend? Was I doomed to always be slightly outside the circle? Many of my teammates already seemed to have these awesome friendships. During the off season, I was playing in a scrimmage and something funny happened. I was pumped and excited because we were essentially trying out for the new “home teams” that were forming. At the encouragement of some of my “team”, I decided to get out there and jam. I was nervous but ready. During one of my turns, I heard something that made the difference. I heard someone yelling “Go Gassa, you got this!” Why would this be a big deal? It was honestly the first time someone, besides my family, yelled my derby name. I came off the track to high fives and cheers. The next time I went out, my teammates were giving me pointers and telling me to watch for their signal and they would sweep the line so I could go by. I was being included in the game play. Not just as a body on the line, but as an actual member who was playing. Over and over it happened and it changed everything. I finally, finally felt like I was part of this huge thing. I was part of the team. There was excitement and I was in on it! I may never experience all the things that go into this culture, but I experienced the game and being on a team, being included. It was amazing! I am excited to see how much further I go this next season. 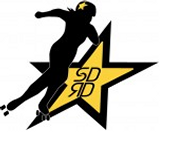 San Diego Roller Derby is exclusively a flat-track skating derby team. 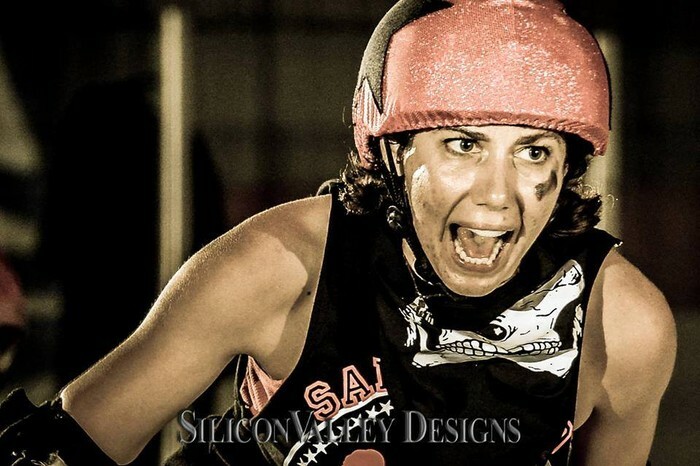 We are a dedicated group of skaters who share the love and passion of roller derby. Together we share a mission: to bring this sport into the limelight and to share with all of you!